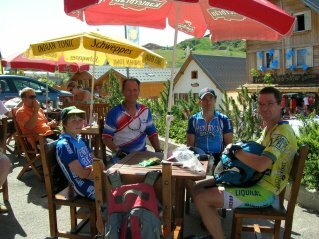 We made it to another Cafe, actually we did ride there. This is about 1km from the finish. We watched the tour stage from about 2km to go. Jeff has the real tour pictures. Someday he will get his pictures on the web.